Cream Garden Table & Chairs outdoor furniture set - 2 chairs and a table garden furniture set Pretty shabby chic style Cream Garden Table & Chairs outdoor furniture set, perfect for creating a country style garden setting . Compact folding design for easy storage when summer's over. With more bistro sets available to choose from. 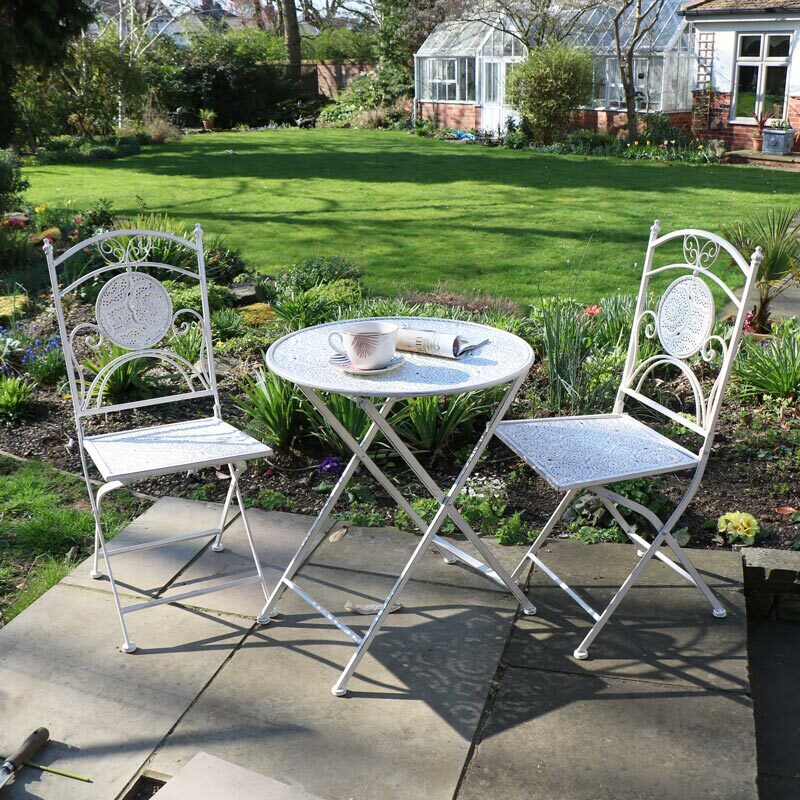 Decorate your garden this summer with this adorable garden table and chair set, and make it your own little paradise perfect for relaxing and enjoying the sunshine with our range of garden furniture and accessories. 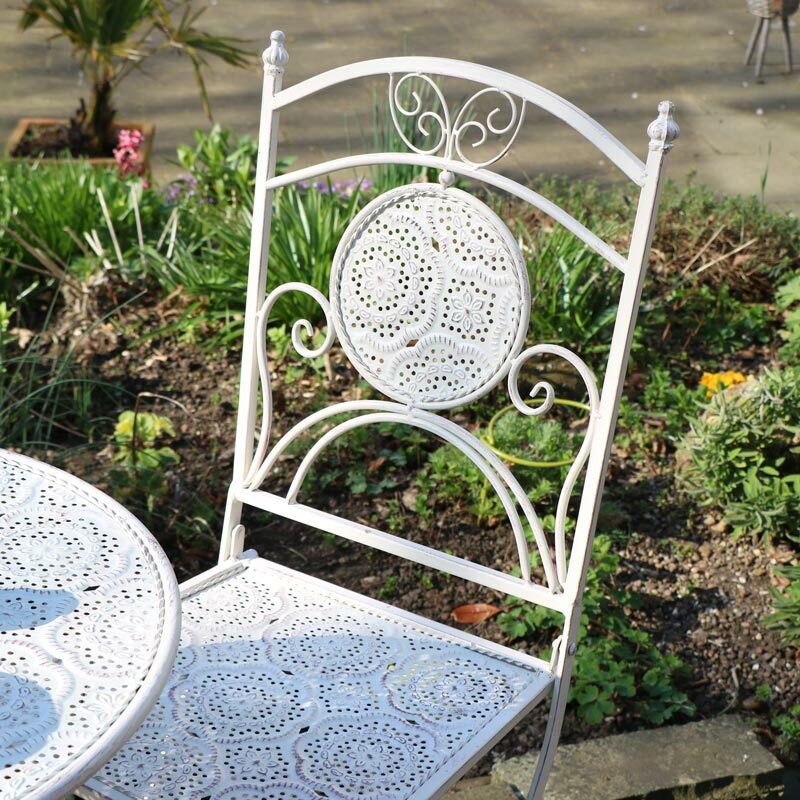 Pretty shabby chic style Cream Garden Table & Chairs outdoor furniture set, perfect for creating a country style garden setting . Compact folding design for easy storage when summer's over. With more bistro sets available to choose from. 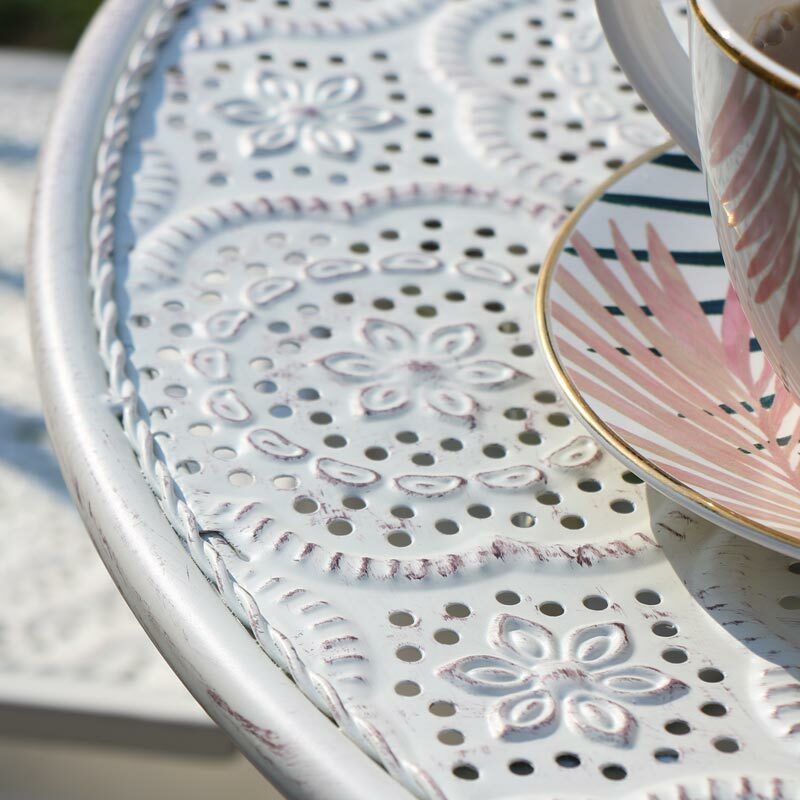 Decorate your garden this summer with this adorable garden table and chair set, and make it your own little paradise perfect for relaxing and enjoying the sunshine with our range of garden furniture and accessories. 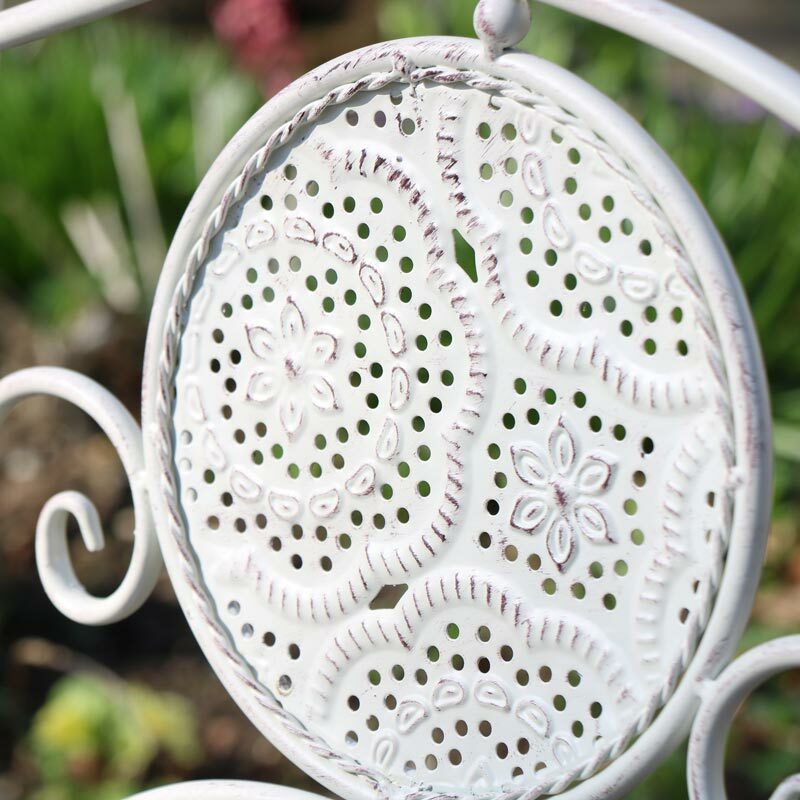 Made from metal, painted in a cream ivory finish. Set includes table and 2 chairs, all fold flat for compact easy storage. Table measures 60cm x 70cm x 60cm (width x height x depth) and chairs measure 40cm x 94cm x 40cm (width x height x depth) with the seat height 38cm.